Why are your prices lower than others? Many dealers buy cars and them need to keep them in the showrooms for 6 months or more before they sell them. Costs of keeping a car for so long is huge: rent, building security, air-conditioning, salaries. We don't have such large overhead costs. Why are car dealerships so expensive? We only keep a low level of stock, therefore we can massively reduce our costs. Can I service my car? Yes, it's very easy servicing one of our imported cars. The independent servicing market in Taiwan is very developed. The main dealerships' high-priced service centers will alos welcome you. A custom import usually takes 10 weeks, but could take longer depending on the type of car. We'll advise you how long it will take at the start of the process. Can I see my car first? Sure: We'll send you clear pictures and full specs and equipment list. 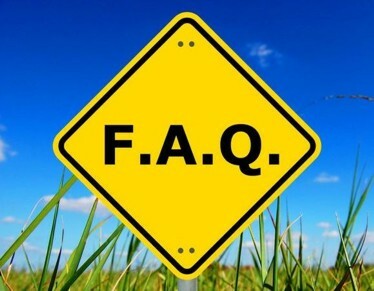 We can also meet so that you can ask more detailed questions. How do I know the cars are good? All our cars go through a thorough 3-check inspection plan in their home country before we import them. Yes, we guarantee the cars from major issues for a year. We'll give full details at time of purchase. We'll give you a discount when you recommend a friend or family that buys a car from us. Sure! We understand that buying a premium car over the Internet can be daunting, so we always meet our clients face-to-face to discuss details. Nothing. They're made by the same German and UK factories as the more expensive cars you see on the high street. Can I import my own car? Of course. However, getting the license in Taiwan is very costly and could take you 6+ months. Even wrose, there's always the risk that your car gets black-flagged so you'll never be able to drive it legally in Taiwan. That's why it's best to ask experts like us to help you. We've heard some dealerships import cars that go rusty quite quickly. That's because they buy inferior cars marked for export. Our cars aren't marked for export, and pass our unique 3-step quality check so that our cars won't have the same issues. Are your cars flood damaged? Absolutely not! All are cars are very high quality and in mint condition. We always check for collision and other damage before purchase. We also have a unique 3-step quality process that weeds out inferior cars. Why do I need an application? As you can imagine, the huge amount of man hours required to find out your precise requirements and then searching through 10000s of cars, working with our international suppliers means that we need to focus on our serious customers only. We'll refund 100% all your money if we are unable to find a suitable car for you. Besides, we'll also return this payment when you formally order your car.